What would you do, if one fine morning, you woke up and learnt that unwittingly, you have been responsible for the death of several people? Imagine all the emotions that would run through your mind in the minutes and hours to follow? Fear, guilt, remorse, angst, and a sense of numb helplessness. You would perhaps draw a blank and not know what to do. You would begin to panic, because you would know that from that day onwards, your life would change forever. 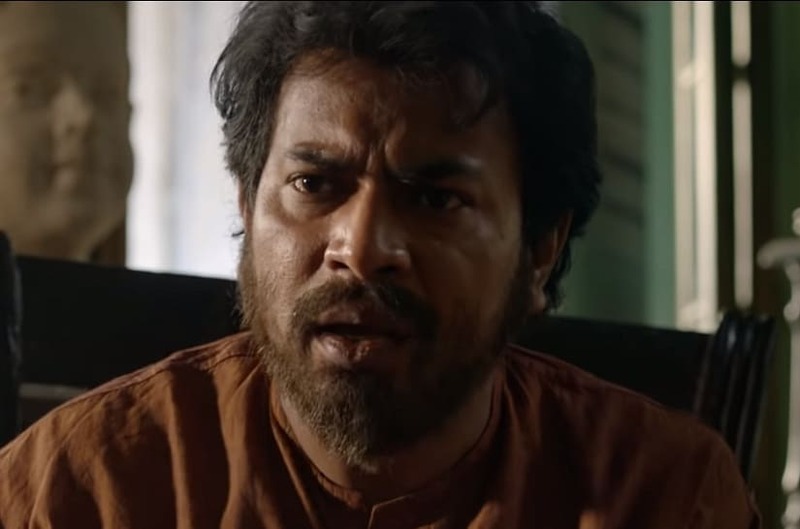 For several hours after the end credits of Srijit Mukherji’s new crime thriller Vinci Da rolled on the screen, I kept thinking about the sheer helplessness of its central character - a skilled make-up artist who finds himself embroiled in gruesome serial killings in the city of Kolkata, executed with sharp precision and ingenuous intellect by a vigilante psychopath. And it was only after all those hours that a realisation dawned on me. And it is this realisation that is the fulcrum of Mukherji’s film. I can’t give it out to you; it would be a massive spoiler. But I encourage you to discover it for yourself, simply to witness the joy of cracking a difficult puzzle. Tricky as it is though, if one were to miss this bit of the untold story, chances are, that the film may not work for them. In other words then, Mukherji’s Vinci Da is the kind of film that will probably polarise its audience. Some will see the brilliance of it in the parts that remain unsaid (which, in itself, is a welcome change from the filmmaker’s flamboyant style of storytelling), whereas others will completely dismiss the film, having totally failed to understand it, grasp its nuances. Which is why, you will either love Vinci Da, or you will totally hate the film. There is hardly any scope for middle ground that the director has left. Clearly, after Nirbaak, this is the riskiest film that Mukherji has attempted in his rather fertile career. Vinci Da is the moniker given to a struggling but highly skilled make-up artist living and working in Kolkata. Having earned a bad reputation in the film industry for being too principled and unimaginably honest, Vinci Da can’t seem to get a job doing make-up for film actors anymore. So, he tries to make ends meet by doing odd gigs at weddings and neighbourhood theatres. His artist’s soul is not content though, because he hasn’t had the good fortune of doing something remarkable so far, something that can make the world call him a genius. And it is this unquenchable thirst that spells his doom. Because out of the blue, a man named Adi Bose appears in his life and asks him to do a seemingly harmless job for him. Vinci Da feels fulfilled at the prospect of an artistic challenge, but what he does not know is that Adi Bose has a dark ulterior motive deep down, one that will draw Vinci Da in a world of darkness forever. 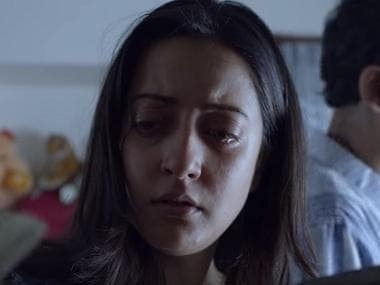 The film can best be described as a companion piece, a sort of triple bill to two of Mukherji’s other films: the brilliantly crafted (and seemingly unsurpassed, I suspect, not even by him) Baishe Srabon and the delicious little interconnected anthology thriller Chotushkone. While the flavour, the mood and even the tones of all three films are the same, Vinci Da has a distinct identity of its own, in being sheer genius in its very idea. Mukherji also seems to have consciously cut down the cinematic flab that had begun to creep into his films; although, I must say that he still needs to do a lot more trimming. But it has to be said that Vinci Da is significantly crisper and sharper than its predecessors and that’s a good thing. There are some things about the film that I did not like at all, though. Once again, most of these are to do with excesses and implausible assumptions. A scene involving a group of schoolchildren, for instance, was quite unnecessary and if one really had to do it, one wishes one would have stayed with it a little longer to make its impact felt. Another scene involving an item being sold by a street urchin comes across as quizzical and rather odd, its purpose in the climax quite difficult to fathom. But against these, there are some brilliant scenes too, for instance the sweet ones involving a stammering girl who Vinci Da has happened to fall in love with, or the one in which a dreaded cop unleashes his fury on an affluent man trying to act smart with the law. But while the great scenes come and go, the ones that are not so great aren’t scarce either. For instance, the entire track of the third murder seems to have been hurriedly put together, it seemed to me as something that was rather outlandish. Rudranil Ghosh, whose story idea Mukherji extended to make Vinci Da, plays the titular artist who slips down the spiral of sanity because of one wrong decision. Ghosh is fantastic in his performance overall, but does seem to emote more than it is necessary, on at least some occasions. His best scenes are not with Adi Bose though, but with Jaya - the ever-smiling neighbourhood belle who finds great pride in her stutter, because it ensures that her parents are not able to find a groom for him. What a lovely little notion, used beautifully to create a perfect romantic moment. Sohini Sarkar is clearly the star of the film despite the film being so little about her, relatively speaking. Ritwick Chakraborty is quite good as Adi Bose, although he does not seem to induce the fear that a serial killer ought to. As much as I was looking forward to his character the most, I never quite managed to like him to the extent of rooting for him. 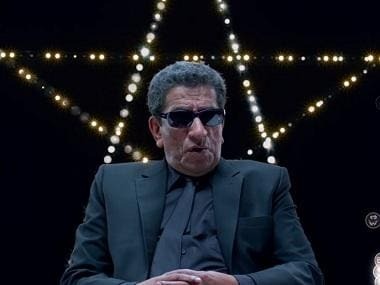 In a film such as this, the writing of a great character arc for the serial killer is of utmost importance, but Chakraborty’s performance, despite his passionate arguments for Nietzsche’s notion of the Übermensch, still appeared a bit flat to me. As much as I hate to say this, he is not a serial killer that I would remember for a long time. 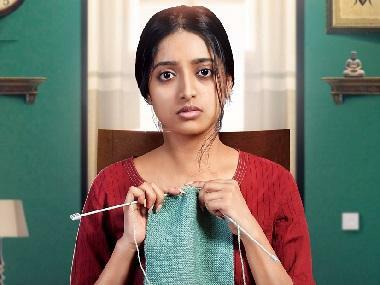 In two expected superlative performances in the film, it is Riddhi Sen and Anirban Bhattacharya who pulled the rug from under of my feet. Sen, as the juvenile version of Adi Bose, and Bhattacharya, as the no-nonsense police officer, are the coolest and smartest bits of writing and performance in the film. I had a lovely time watching Vinci Da, and even a lovelier one chewing the cud. It is not a perfect film, not even a great one. But it is a daredevil attempt at answering two important questions – at what point does it become necessary to take a human life? And what, after all, is the cost of the perfect art?